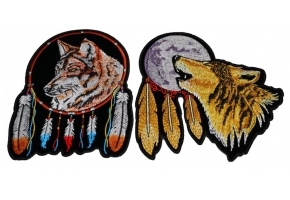 Wolf and Feathers Small Patch measures 3.5x4.4 inches. 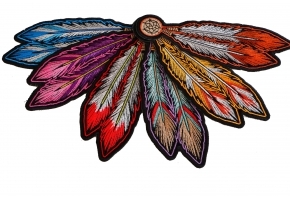 It is the newest and smallest size of this particular design that is extremely popular among our customers. 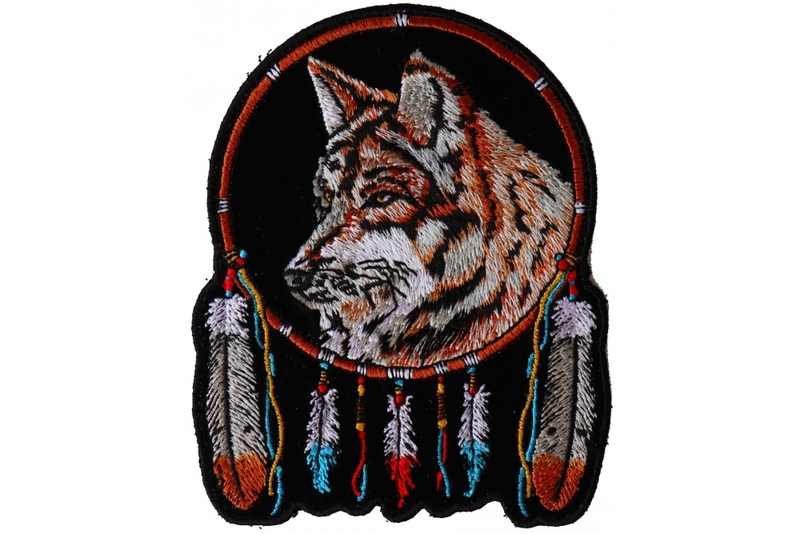 The Brown cute Wolf sits inside a circle with Feathers hanging from it. 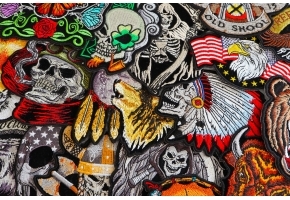 This wolf patch is also available in a Medium size and a Large Back Patch Size. 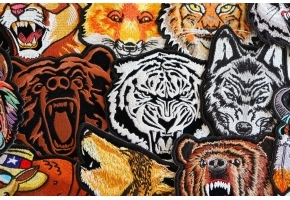 We even have combo sets of this wolf patch. “A lion can be tamed too but a wolf can never be tamed by anyone”. The ferocity of this animal can be seen through the eyes. Known for its aggressiveness and vicious character wolves can be appealing to almost everyone and especially this small patch of a wolf with its eyes piercing straight into the hearts of people who look at it with the feathers attached to the end of it resembling the feathers from a dream-catcher can make people fall for you instantly. 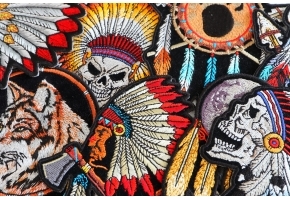 A leather jacket when stitched with this patch or when this added on a denim vest can make people speechless.